The Level Daybed from MSDS for Woud is a daybed in its simplest form. MSDS were inspired by the shape of classic table stands. On two trestles there is a plate on which there is a mattress with a leather cover. The frame is made of solid oak wood. 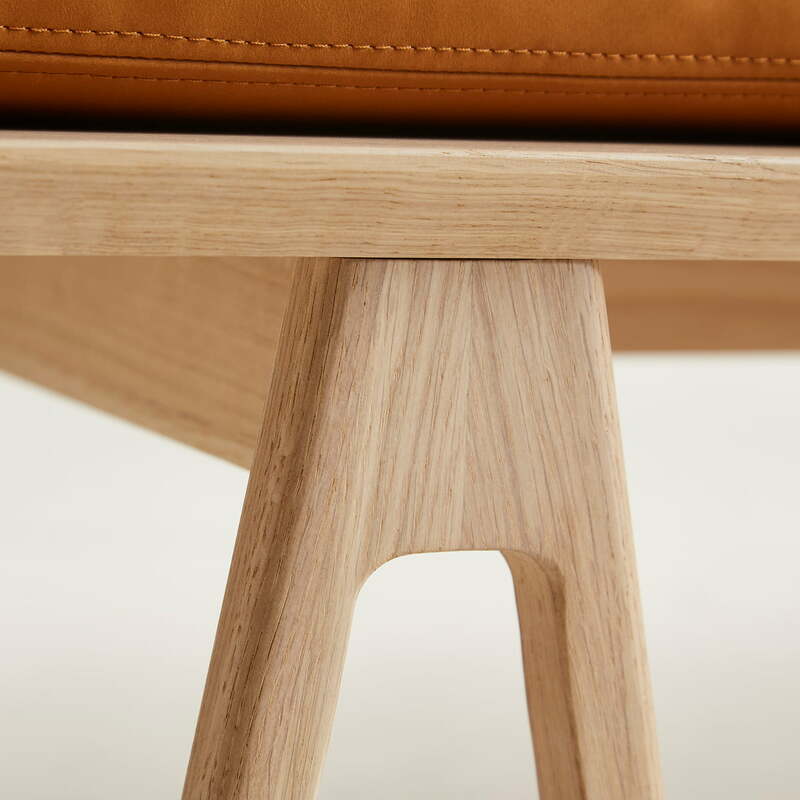 The warm wood and the supple leather together provide a robust and timeless look. The daybed owes its name to the balance between living and working environment. Level Daybed of Woud in single view. The Level Daybed from MSDS for Woud is a daybed in its simplest form. The frame is made of oak, while the cover is made of leather. 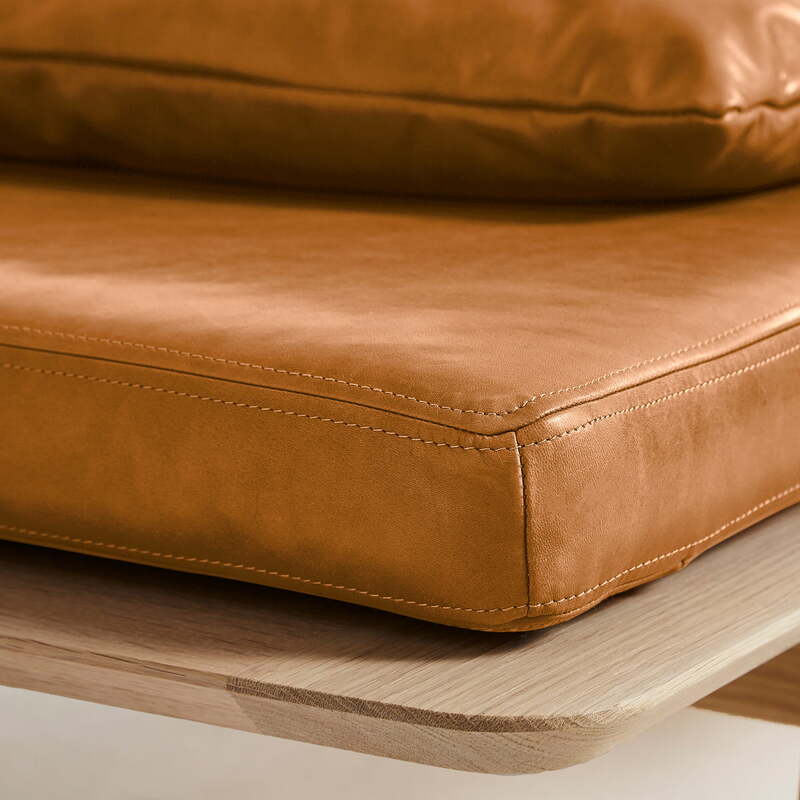 Level Daybed from Woud in the detail view. 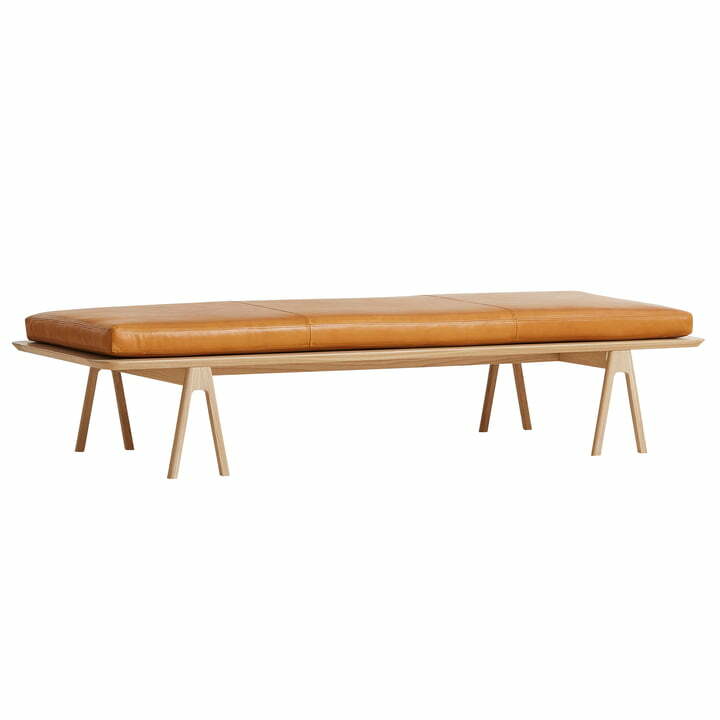 The frame of the Level Daybed by Woud is reminiscent of classic table bucks. The frame is made of oak wood. Level Daybed from Woud in the detail view. The upholstery is made of leather and is therefore of a particularly high quality. The soft upholstery provides pleasant comfort.